The Haitian artist Jean Losier did not think that creating beautiful painting painting was profitable enough. Hot involved instead in a more lucrative business. Prosecutors confirmed that he the artist had produced more than $4.5 million worth of counterfeit $50 and $100 bills at his Wellington art studio in Delray Beach. Unlike his real artwork, demand for his counterfeit $50 and $100 bills were high. Losier used a simple technic by bleached authentic $1 bills and then printed $50 and $100 on those bills. 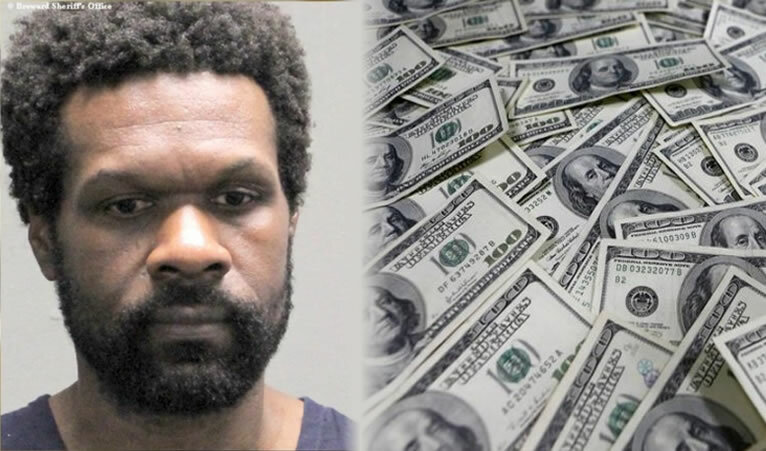 He had some some business partners who bought the fake bills at 10 cents on the dollar, In another way, they will purchase a pack of $10,000 fake bills $1,000. The evolution of 200 years of Haitian art from naïve painting to surrealist interpretation through found objects is being exhibited at the Grand Palais in Paris. The theme Haiti: Two Centuries of Artistic Creation displays the work of such noted Haitian artists as Hector Hyppolite and Herve Telemaque. Hyppolite, known as an excellent naïve painter, received high praise from surrealist movement exponent Andre Breton, who declared Hyppolite a surrealist. Breton became mesmerized by Hyppolite's artless expression in his work. Herve Telemaque, a modern painter residing in France, gave tribute to Hyppolite with his painting Le Voyage d'Hector Hyppolite en Afrique. Its theme centers on religious iconography, immigrant beginnings, and infamous political leaders, with Hyppolite as the central figure journeying through history. An exhibition of Haitian art produced over the last 200-plus years is currently on display at Grand Palais. Entitled "Haiti: Two Centuries of Artistic Creation" the show features 160-plus pieces of work, created by Haitian artists either living in Haiti or abroad. Four themes make up the exhibition, and are shown in a single, large space. This arrangement curators Regine Cuzin and Ateliers Jerome say forces art lovers to view Haitian art history as more than just the conventional naïve and primitive styles that have categorized Haitian art in the U.S. and Europe. Unknown to U.S. and European art collectors, Haitian artists began in the 1950s to move away neocolonial art and create abstract pieces of work. But a bias against the exciting new work was dismissed by critics ". . . as not properly Haitian . . ." and not promoted. An artist with a subject to which he can make an emotional connection is bound to create a thing of transcendental beauty. When that artist is Haitian, the culture of the artist's country, the use of emotion in each stroke, the richness of the color and simply the staging of the piece all work to complete the work of art. The artist is Ulrick Jean-Pierre, and his subject was one Henriette Delille. Delille was a free, colored women who founded the Sisters of the Holy Family. It is that sisterhood which commissioned the work and in whose motherhouse, located at 6901 Chef Menteur Highway, the work now hangs. Haitian art was originally rooted in African and Taino art forms, then became influenced by the artistic expressions of France and Spain. The subject matter of Haitian art has tended to focus on the island's history, its socioeconomic and political conflicts, family life, religion, and culture. Haitian schools of art, with their particular qualities or styles of expression, are localized. Southern coastal Jacmel artists use mountains and shorelines for inspiration; northern coastal Cap-Haitien artists render urban life; Saint-Soleil artists' work embodies abstract art, using Voodoo motifs. And Artibonite region painters utilize muted tones and geometric shapes. Throughout the early- to late-1800s Haiti's rulers supported artists by creating opportunities for them to develop their artistic expression. King Christophe, Emperor Soulouque, and President Geffrard all promoted artists or founded schools for them. In 1840 the Imperial Academy of Drawing and Painting was introduced, and in the 1860s there existed the Academy of Art. The new Best Western Premier hotel in Petion-Ville is the first upscale hotel to present the artistic talents of native Haitian artists. It took interior designer, Stacy Elliston, to envision a modern interpretation of Haitian folk art and fashion designer, Pascale Théard, to realize the vision. Inside the hotel are displayed 622 pieces of art, created by 100 artists and artisans on the island, from places like Marmalade, Jacmel, Léogâne, and Croix-des-Bouquets. Some materials used are recycled drums, or natural materials such as hand-carved river stones. 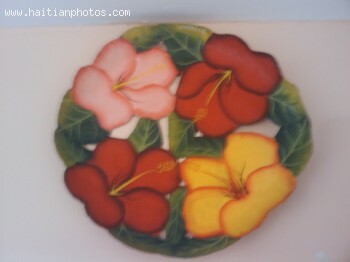 In each guest room hang paintings of rural scenes, made of cut-out banana leaves. Other recycled materials are cast-off aluminum made into statues, and clothing scraps turned into pillows. One of the most prominent pieces of artwork appears in the hotel entryway, a hand-embroidered tapestry based on a Voodoo flag. This inspired artwork was produced by Bel-Air artists living in poverty. The Republic of Haiti General Consul in Miami, François Guillaume II, made a public announcement numerous Haitian artists will show their work at the Annual Art Basel Miami Exhibition. 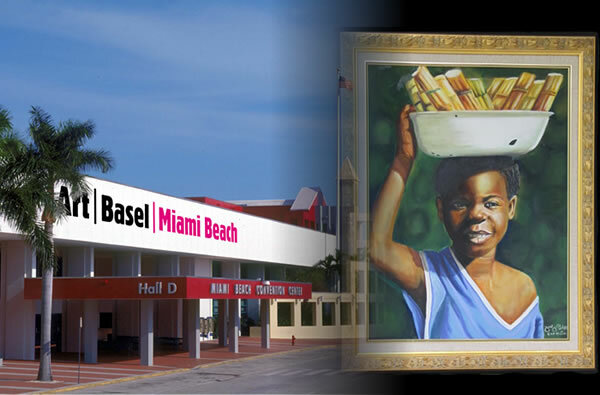 Art Basel is an anticipated event, attracting many thousands of art lovers from all over the world. It is hailed as a major cultural sampling of 100-plus art galleries, representing the Caribbean, North and South America, Europe, Asia, and Africa. Art Basel is 40 years old, but until now has not been displaying artworks from the African Diaspora. That is changing this year with the Caribbean Fantastic exhibition happening at the Multitudes Contemporary Art Gallery. 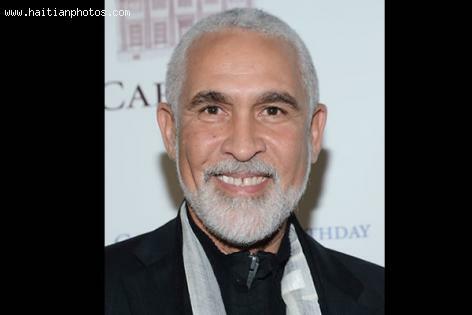 Babacar Mbow, MCAG'S owner and curator, is especially qualified to gather and showcase African Diaspora art. This year Caribbean Fantastic will highlight artwork from Haiti, home to the African Diaspora and the first black-led republic in the world. From September 14, 2013 through to December 7, 2013, the work of the world renowned Haitian artist, Philippe Dodard, will be on display at the Community Folk Art Center. The exhibit, curated by fellow artist and student, Babacar Mbow, will mark the start of the fall exhibition season for the Art Center. The 59 year old Dodard, who hails from Port-au-Prince, has had his works exhibited throughout the Americas as well as Europe, showing a progression from his earlier forms, to his growth into the world of iron work, jewelry design and sculptures. His art has always taken on the views and emotions he felt living through some of Haiti's most turbulent political times. As such, the world watched as his opinion of the 1986 rebellion against the Haitian government became apparent in his brushstrokes, and marveled at the heights of eloquence he achieved with his structures of metal and totems of wood.